La Moraleja was ranked “The world´s best residential area” by the Robb Report´s American publication in 2000 and for good reason! This neighborhood offers everything an affluent family needs to feel at home and make their new life in Spain. La Moraleja is family friendly/focused, exclusive, and has all the conveniences that we would expect as international people. a) El Soto is closet to the metro, schools, and shopping centers. Depending where you are living it is possible to walk to all of these points of interest. And it is located on the side of a hill or in the valley in the north end of La Moraleja. El Soto offers mainly flats and town homes as accommodation, and most are located within gated communities. b) La Moraleja is the most exclusive portion of the sub-neighborhoods, and gives the entire neighborhood its name. It is located on a hill and depending on the location of the home can overlook the city of Alcobendas or Madrid. This sub-neighborhood is make up of larger plots of land, and mainly separate single family homes. c) Lastly, El Encinar is located on the southern portion of the neighborhood closest to the Scandinavian School & La Moraleja´s Pony Club. This neighborhood is very unique because it used to be housing for US military, and is now American style homes. You can find both flats and single family homes, however, this area is the furthest from the metro. There is a bus route through the entire neighborhood but it is not as reliable or widely used by residents of the neighborhood. Some of the features that make La Moraleja family-friendly are that it has some of the best schools in Spain located in the neighborhood; plenty of green spaces, parks and sports facilities; and it is located in the city of Alcobendas which is also very well known for organizing many events for families. In La Moraleja you will find names such as the International College Spain, Kings College, and Runnymede College. You have plenty of parks to choose from or you can head to the Madrid Sierra for a day in the mountains. Or you can participate in a bird watching trip organized by the city of Alcobendas for families in the Guarrama National Park. And if safety is a concern, La Moraleja has its own security and most of the accommodation options are located in gated-communities or have their own security. Besides being a safe & great family neighborhood, La Moraleja is exclusive in regards to financial and geographical accessibility. La Moraleja has some of the most luxurious, expensive, and unique real estate in Madrid. On average, rental prices are currently 13€/m2, and advertised purchase prices are currently 3,943€/m2. Geographically, the neighborhood is north of Madrid and the Barajas airport, and enclosed by the A1, R2, and M40 highways. In La Moraleja, it is essential to have a car unless you live in El Soto close to the metro but even then you most likely would want the car for shopping and exploring the area. In addition to being an exclusive neighborhood, La Moraleja also has a lot of the conveniences that international people have come to expect in this type of neighborhood; as well as some great Spanish traditions. In this neighborhood, you are a 20 minute drive to Madrid or a 40 minute metro ride to the center. You have many offices of international companies such as Toyota, ING, Indra, P&G, Mercedes, and many others. In regards to shopping, you have an American style mall called Diversia with many restaurants and a movie theater; a supermarket shopping center call Alcampo right behind the metro stop; and a large mall called Plaza Norte 2 with everything from Ikea to Zara. However, if you are looking for a more upscale environment, you should definitely visit La Plaza de La Moraleja where you will find some great restaurants ranging from traditional Spanish to Lebanese Cuisine, and you are sure to bump into Le Creme de La Creme of Madrid. 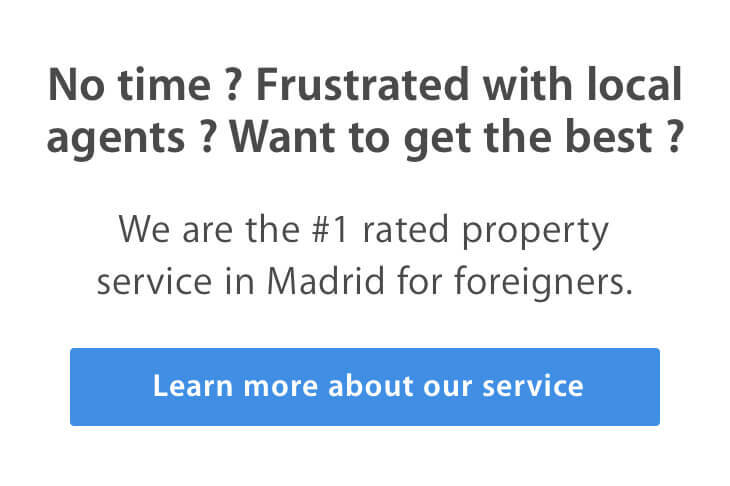 Conclusion: If you are looking for an affluent & exclusive community with all the conveniences to keep your family happy while you are making your new home in Madrid; then La Moraleja is definitely for you.